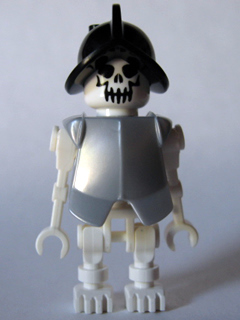 The Explorer Skeleton is an Indiana Jones minifigure that has appeared in two sets. It has armor plating in pearl light gray and a black Conquistador helmet. It is listed as Conquistador Skeleton. This page was last edited on 11 March 2016, at 23:33.